Does the cost of Thieves Foaming Hand Soap have your eyes bulging from your head? 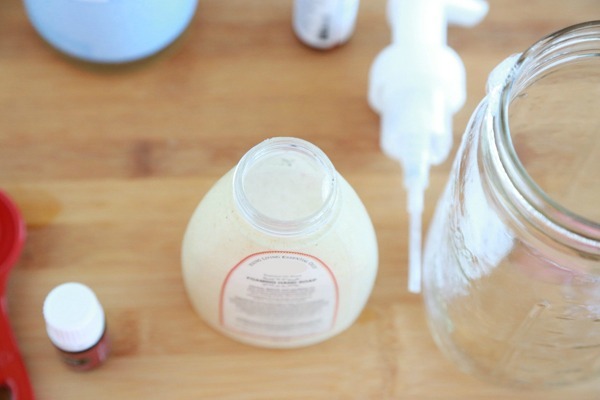 Learn how to make Thieves Foaming Hand Soap and save yourself some money while you’re at it. Last year my family began a journey to better health. We joined a gym. We’re eating better. And we are constantly looking for ways to live a cleaner, healthier life. That led us to Young Living Essential Oils. One of my favorite products is Thieves Foaming Hand Soap. But, since it is a little on the pricey side, I decided to learn how to make Thieves foaming hand soap myself to save myself a few bucks. 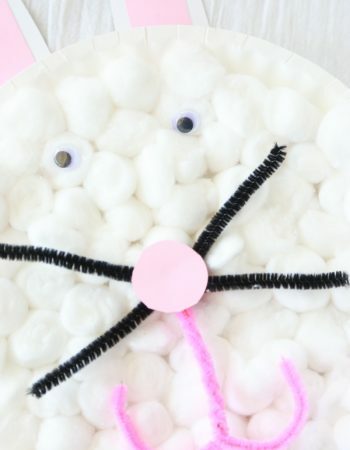 If you can’t stop to make this right now, don’t forget to pin it to one of your Pinterest boards so that it will be easier to find later. After looking at the ingredient list on the back of the bottle and talking with the owner of a local health food store, we talked through several ways for how to make Thieves foaming hand soap. I’m sure there are other ways to make Thieves foaming hand soap, but this is the way I’ve tried and I love the results. Castile Soap – Baby UnscentedGet it now! 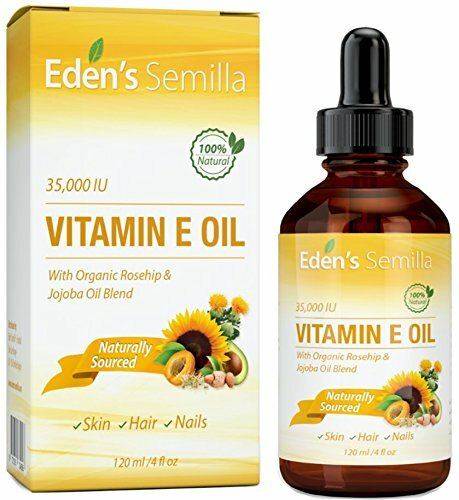 100% Natural Vitamin E OilGet it now! 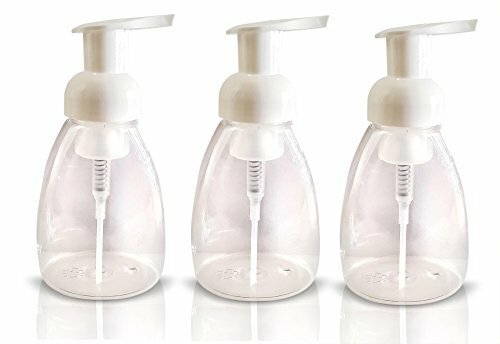 Foaming Soap DispensersGet it now! 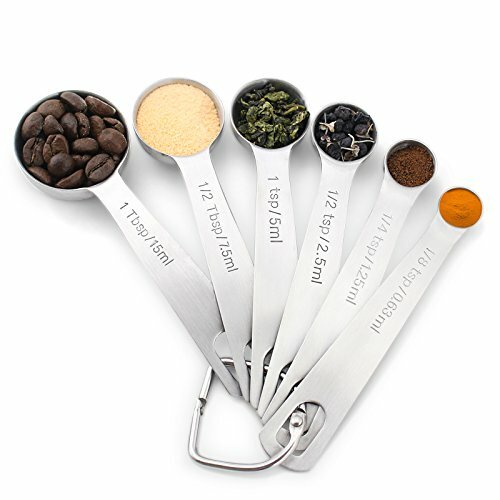 Measuring Spoons – Set of 6Get it now! To make Thieves Foaming Hand Soap add Dr. Bronner’s soap to an empty foaming soap dispenser. I like to mix mine in a mason jar and then pour into the dispenser, but you can totally skip this part to save a step if you want. 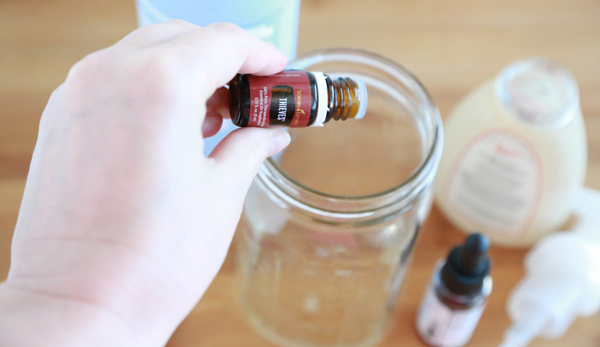 Add Thieves Essential Oil and Vitamin E Oil to the soap in the mason jar. Next, slowly add in the filtered water. If you add the water too quickly it will foam a lot and you’ll yield less soap. Since I reuse the Young Living Thieves Foaming Hand Soap dispenser and it’s 8 ounces, I use 7 ounces of filtered water. Using 1 ounce less than your dispenser size should work perfectly. If you are using an unusually large dispenser, you will need to adjust the other ingredients accordingly. Shake gently to combine the soap and oils. If you used a separate jar like I did, slowly add to the soap dispenser. Pump a few times to get the foaming action going. For the last several months we have been using various oils to treat mild headaches, sniffles and sneezes, and as general supplements for a healthy lifestyle. I’ve learned so much about oils and how to use them in our day-to-day life. Since many oils do various things and help many different ailments and conditions, I’ve still got so much to learn though. 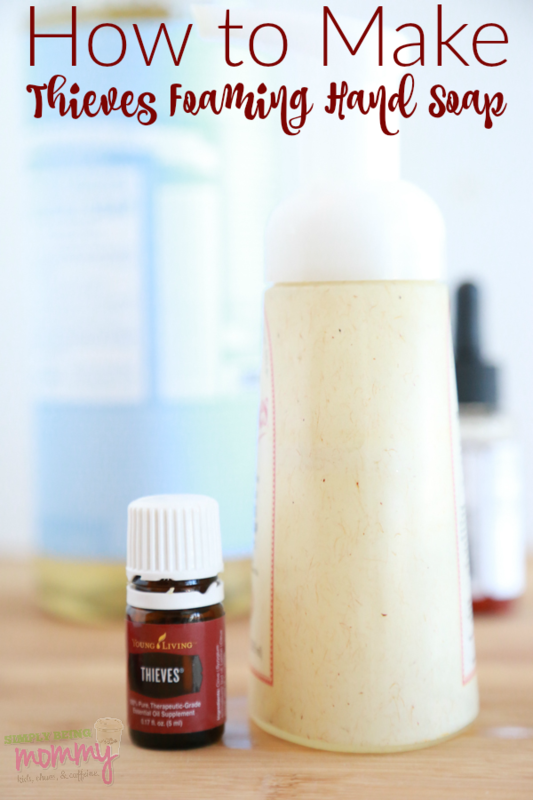 Add Dr. Bronner's soap to an empty foaming soap dispenser. I mix mine in a mason jar and then pour into the dispenser, but you can totally skip this to save a step. 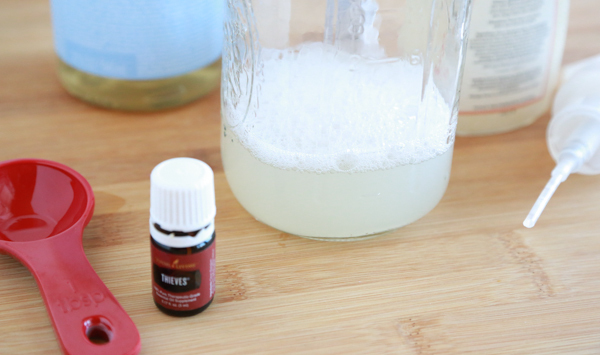 Add Thieves Essential Oil and Vitamin E Oil to the soap. Slowly add in filtered water. Since I reuse the Young Living Thieves Foaming Hand Soap dispenser and it's 8 ounces, I use 7 ounces of filtered water. Using 1 ounce less than your dispenser size should work perfectly. If you are using an unusually large dispenser, you will need to adjust the other ingredients accordingly. Shake gently to combine. 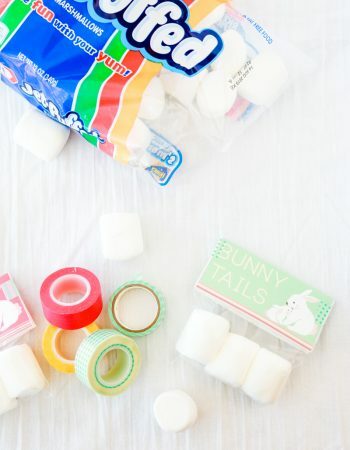 If you used a different jar, slowly add to the dispenser. Pump a few times to get the foaming action going. Because Thieves Essential Oil is a blend of essential oils that support the body’s natural defenses, it’s perfect for year-round use. I use it to make homemade cleaning products, as a natural air refresher, and as a supplement to support my immune system. I know it can be overwhelming to learn about new things, but if you are interested in learning more about essential oils and how they can help your family, I’m available to chat with you! Reach out to me via email, comment below, Facebook or Twitter. Thieves Foaming Hand Soap is a great way to clean your hands without all the harsh chemicals! I’ve provided this easy Amazon widget so that you can buy the supplies you need (minus the Thieves Essential Oil) to make your own! 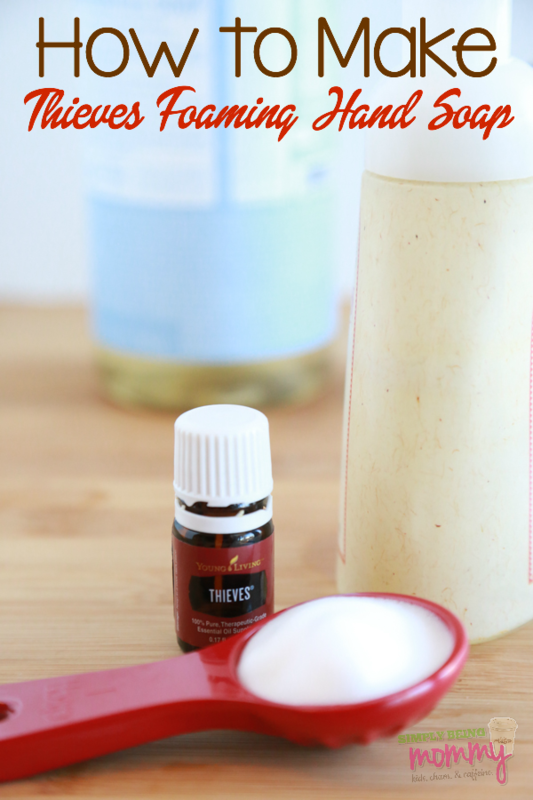 What a great idea to make hand soap with essential oils. I have to try this. Oh goodness I bet it SMELLS delicious too! I’ve never tried making my own, but I do prefer the foaming soap to regular and soap. Do you need a special kind of dispenser for that? Oh how cool! I’ve never made my own foaming hand soap before. This is a great way to use those oils. I love essential oils and am so intrigued by this soap!! I’d love to make some. It sounds good for the dryness of winter too. What a great idea! I love how good this hand soap is for you and how you can customize it using oils. What a neat idea! I’m going to have to try this. We love YL and thieves! We use Doc Bronner’s soap all the time. Great idea to add some essential oil to it. It is such a great idea to make hand soap with essential oil. I bet this one is wonderful. I would love to see how Thieves oil smells, since this is the first I am hearing about this particular oil. I have numerous friends who swear by essential oils and anything all natural is a win in my book. I think it smells like Christmas (it has some cloves and rosemary oils mixed in). 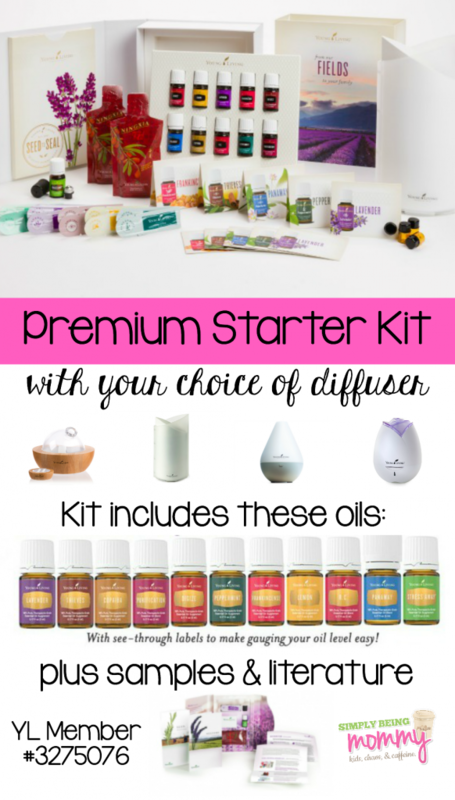 I love Young Living Oils – I started doing the whole sale thing too because Young Living sends you free oils each month if you do their rewards program. LOVE IT! 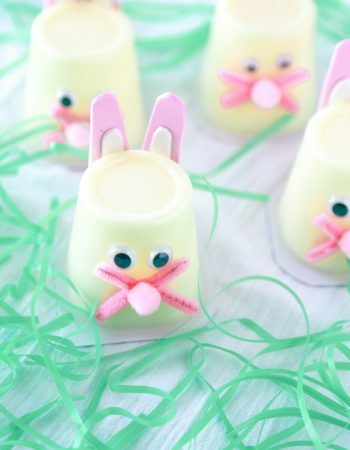 And …Thank you Crystal for the recipe! Good old Bronner’s soap–it has been around for ages!! 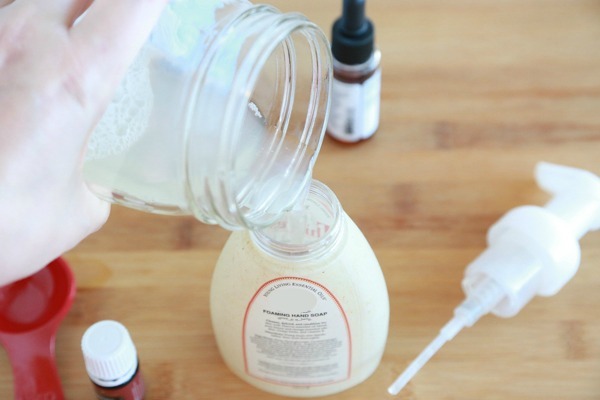 This does sound like a relatively easy way to make your own foaming soap. I have always loved using essential oils–especially in a diffuser! I clean my kitchen floors with a mix of water and vinegar, and add grapefruit and basil essential oils to make my house smell amazing. I haven’t tried making hand soap, but I love the idea of doing that and using better options. Can’t wait to give yours a try. Wow, that looks like so much fun. Can’t wait to try it! This is looks great, I’m sure my mom would love this. That looks SO easy! It would make a great gift, too! 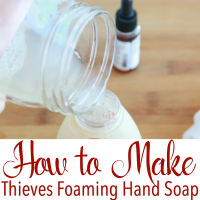 I love the idea of making my own hand soap, especially with Thieves! Great idea! This hand soap would smell amazing. I love using essential oils in my home. I will have to check out the kit. This is a fantastic idea. I’m going to pick up a dispenser and try this myself. I like how you incorporated the essential oils in this recipe. Love this! My older kids could even help me make this. It is such a good idea to use thieves! I am going to have to try it out! I love the foaming hand sop, but hate the price! This is a great way to save money! It seems like you can do so much with essential oils. 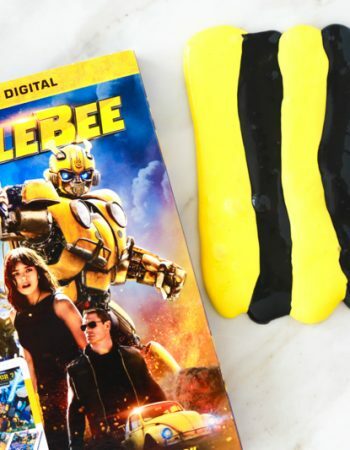 Thansk for the foam hand soap DIY. This is so awesome! I would love to make my own hand soap. 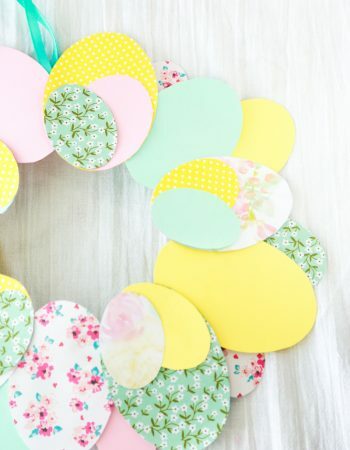 Thank you for this DIY. Awesome, I will totally try this! My sister is addicted to the essential oils and I love Dr. Bronner’s! What happens if you leave out the Vitamin E oil? I’m not sure, Tina. I’ve always made it with the Vitamin E oil. Sorry I couldn’t offer anything to help. I recently bought Dr. Bronner’s Cherry Blossom liquid Castile soap. I’m wondering, would the smell of the thieves essential oil mix well with a cherry smell do you think? I’ve never smelled Thieves, what does it smell like? I had to drive a ways to get the soap otherwise I’d use non scented, but I’m trying to make this foaming hand wash antibacterial hence the thieves. Thanks for the sharing of the recipe! Any advice/comments welcomed. Thieves oil is a combination of Clove, Lemon, Cinnamon, Eucalyptus Radiata, and Rosemary essential oils. It has a rich, spicy aroma. I’ve never tried it with the Cherry Blossom soap so I’m not sure if the two would smell good together. Sorry I couldn’t be of more help. My husband doesn’t like foaming hand soap, is there a way I can alter this recipe to make it non-foaming? Thank you!! I have made this and accidentally put it in a non foam dispenser and it was not foamy. LOVE THIS! I made it today and it smells great and cleans great as well! Not to mention we are saving money by making our own. Thank you for this recipe! I’m so glad you love it, Janie! Thanks for letting me know. What are the proportions of the Clove, Lemon, Cinnamon, Eucalyptus Radiata, and Rosemary essential oils that you would use to mimic your own “theives” oil? Hi Sue! I’m not sure about that. I just order my Thieves oil from YL.